Deciding on the best things to do in Newcastle, Australia can be incredibly difficult if you don’t know what’s on offer. So let our guest author Ben, a local living in the area for over two decades, guide you through 19 of the best sights to see and places to visit in Newcastle, New South Wales. Read on to find out where to get the best history lessons and beautiful views of this wonderful city, which should definitely be on your list of places to visit in Australia. Oh, and if you want to know where to hand feed wild kangaroos just outside of the city, then you won’t want to miss out on #8! Places to see in the city of Newcastle don’t get much more iconic than Nobbys Lighthouse. Built in 1857, it originally burnt China Tea Oil to guide ships through the night. More than 150 years later, the lighthouse still acts as a beacon, guiding ships to Newcastle Port. Nobbys Lighthouse sits on a large chunk of rock that once was an island, known as Nobbys Head. The island held great significance to the Aboriginal people Mulubinba and it soon became important to the European settlers after the first sighting in 1770. This island was originally much larger at around 60m in height, but using convict labor this was reduced to its current 27.5m. This was to accommodate early sailors as their ship’s sails would lose all wind when they passed behind the large island. By just walking around Newcastle, you will most likely get a view of Nobbys Lighthouse. These large white walls are a fantastic place to start ticking off things to do in Newcastle list. Newcastle Breakwall is easily visited after Nobbys Lighthouse. Just continue a little further down the smooth asphalt road and you’re there! Building of the original pier began in 1818 (once again with convict labor, resulting in the loss of many lives due to the savage sea). Although construction continued all through the day and night, it took 38 years to complete. 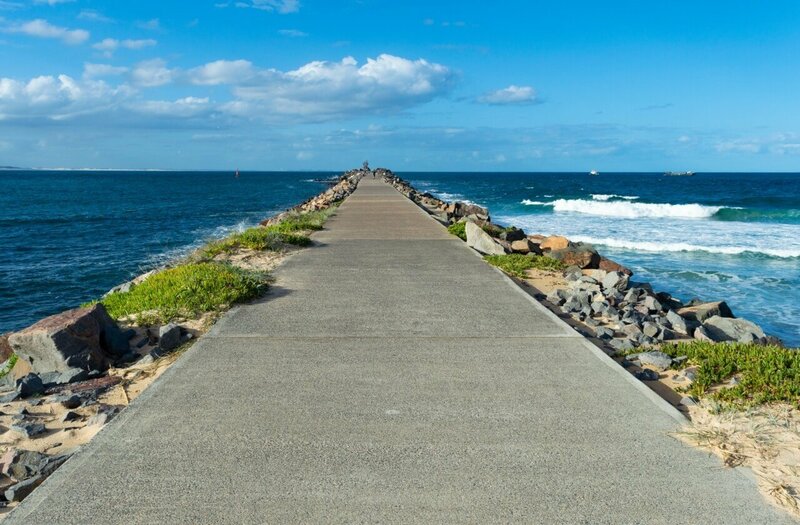 Walking along Newcastle Breakwall is a great way to feel the South Pacific Ocean breeze. 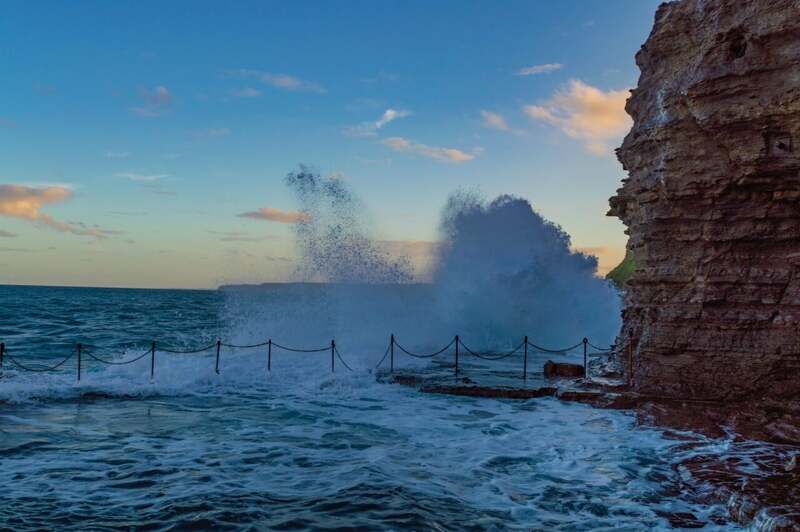 If you visit during rough seas or storm be careful as large waves can slam into the giant rocks so aggressively that water can easily reach the path and drench everything! 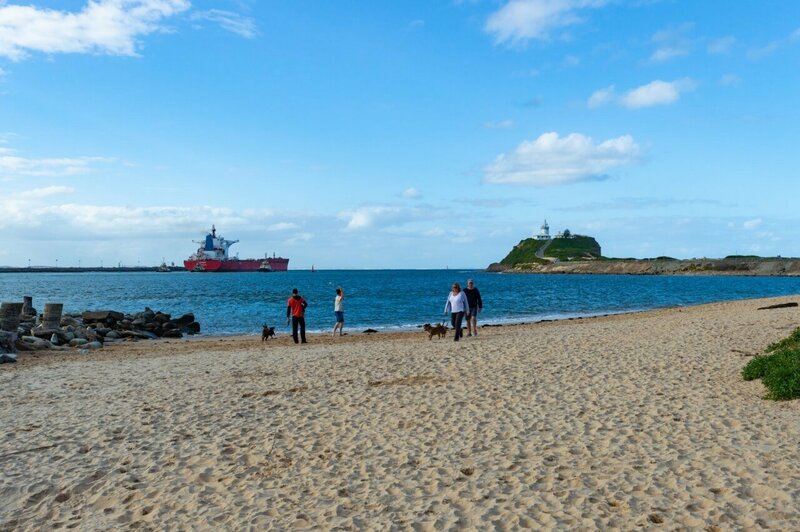 This beautiful 5 km trail is one of Newcastle’s best and most famous walks – and certainly one of the top things to do in Newcastle, Australia. 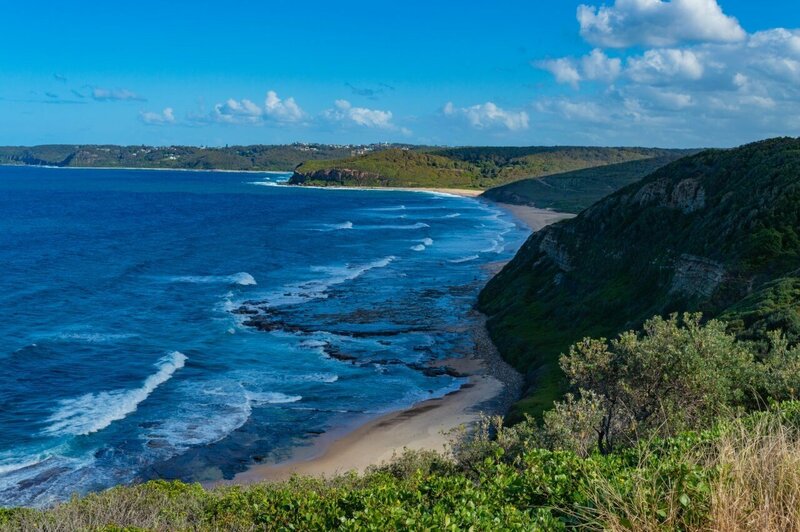 While it takes around two hours to get from Nobbys Headland to Glenrock Reserve, I highly suggest stopping at places along the way – many of them are on this list! If you are lucky, seeing a pod of dolphins is not uncommon in Newcastle and some viewpoints along Bathers Way offer your best chances. If you’re visiting during the winter months, keep an eye out for migrating whales as well! For more information about the area, look out for yellow information signs. They give a wonderful insight into the history of the area. If you enjoy walking and beautiful scenery, make sure Bathers Way Walk is added to your list of things to do in Newcastle. Personally, this is one of my favorite places to visit in Newcastle. The Bogey Hole is a small ocean bath built once again, by convict labor around 1820. It is easily reached from a winding little road leading through King Edward Park, and the addition of stable stairs means the attraction has never been easier to reach. While getting to this lovely little swimming hole is now easier, getting in can be dangerous. High swells can send water surging over the rock which forms a barricade from the ocean. For this reason, visiting at low tide can make it a little safer, but always be on your guard. If you’re after unique activities in Newcastle, this is it! Not only is it said to be the oldest ocean pool in New South Wales but it’s also incredibly refreshing with ocean water constantly flowing into the bath. Newcastle’s King Edward Park is wonderful picnic location for the whole family. Pack some sandwiches or have an Australian style BBQ at one of the public hot plates. 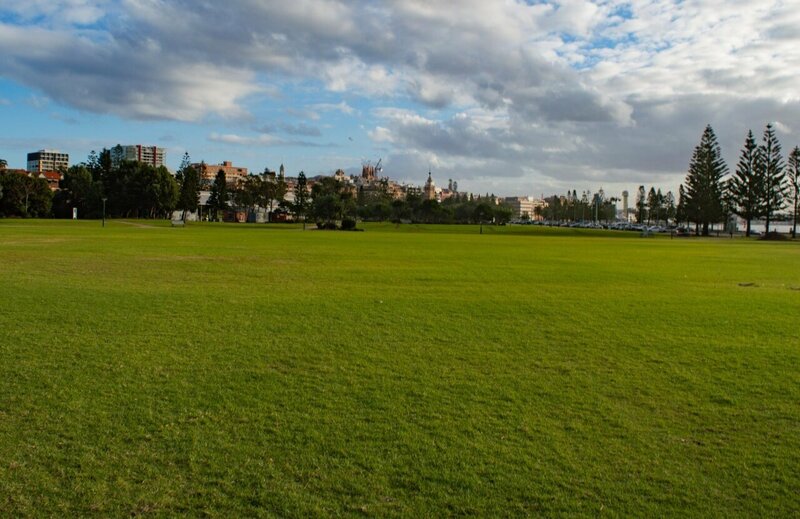 Large open fields provide plenty of room for children to run or for a traditional game of backyard cricket. 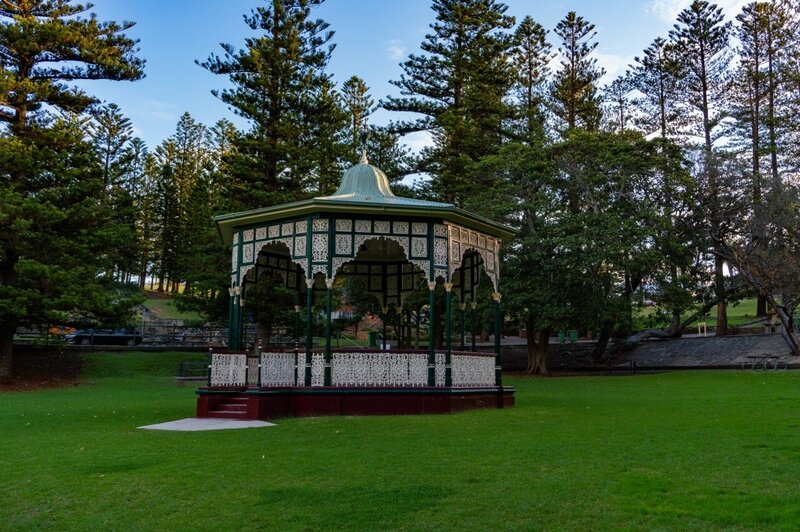 Another iconic place to see in Newcastle is situated in the heart of King Edward Park, the beautifully preserved Victorian Rotunda. A short walk from the center of the park finds the World War 2 sites of Shepards Hill Battery and Gunner’s Cottage along with stunning views of the Newcastle coastline. A great spot for the whole family, with plenty of grass to relax on, and room for kids to run till their heart’s content. 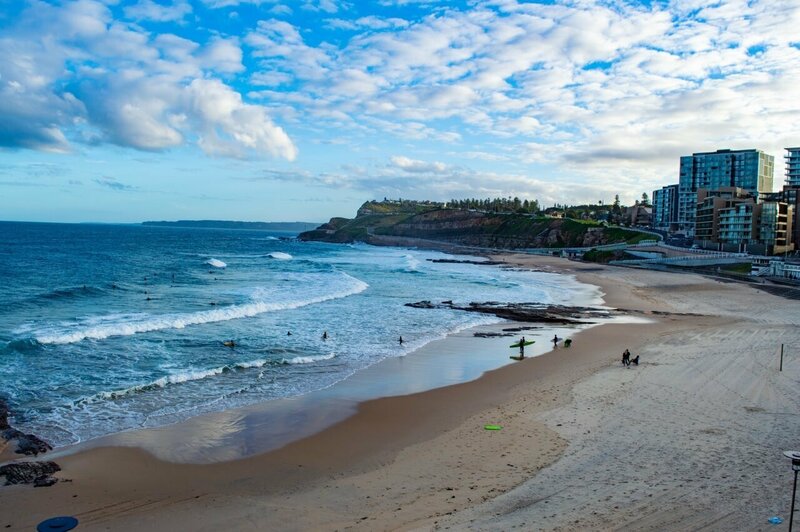 Australia is renowned for its stunning beaches for good reason — and Newcastle is a prime example of that. Spending just a few hours around Newcastle, you will most likely encounter more than one beach. 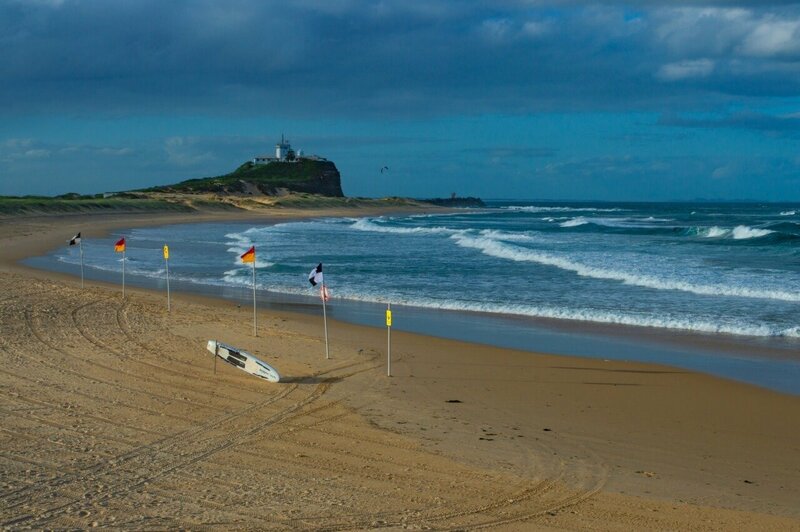 Nobbys Beach is located just beneath Newcastle Lighthouse and is definitely worth a visit for a refreshing swim or a beautiful beach walk. On the other side of the narrow peninsula is the pet-friendly Horseshoe Beach. Want to gain even more love from your dog? This is where to take them! Many other animals are welcome here – even horses are fairly common. One safety tip – the ocean should be treated with the respect it deserves. Be careful of rough surf, ocean rips and always swim between the red and yellow flags. This allows lifeguards to spot you easier. Not excited by the constant breaking waves along the shore? Then visiting an Ocean Bath is your best option to still immerse yourself in the ocean. Two main pools can be found in this area: Newcastle and Merewether Baths. Opening in 1922 and 1935, respectively, these Ocean baths are open all year round, apart from regular cleaning and maintenance. If you’re not that confident in swimming in the ocean, this is the place to wet your feet (pun intended). Lifeguards are present throughout the day and unless the seas are very rough, you are protected by most of the swell and all marine life. Is there anything more iconic to Australia than the kangaroo? The small town of Morisset is about an hour drive from Newcastle, depending on traffic. An alternative way to visit is to catch a train to Morisset station and book a shuttle service through Kroosn Shuttle Service for $20 p/p. Finding this park can be difficult as there are no signs indicating where to go. Follow directions to Morisset Hospital, as the kangaroos frequent a park technically on the grounds of the institution. 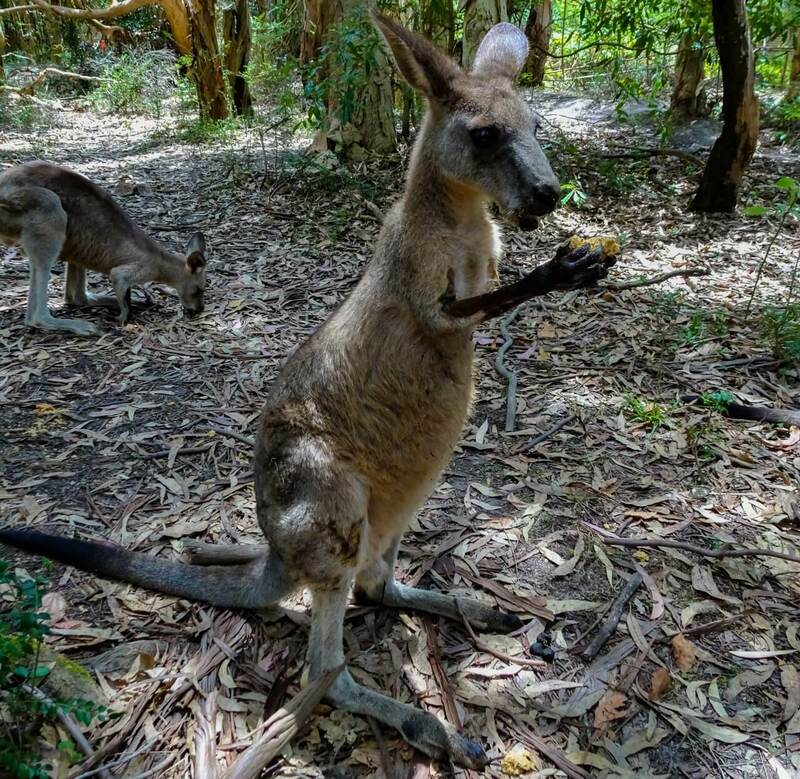 While the New South Wales Government is aware of this attraction and it is allowed to visit the Kangaroos, Morisset Hospital is a working facility and should be kept away from. While feeding these animals is possible by hand, please keep in mind these are still wild creatures and should be treated as such. Kangaroos are deceivingly strong and thus can be dangerous, especially if they believe their joey (baby kangaroo) is in danger. If you would like to feed these beautiful animals, I recommend the common Australian breakfast biscuits “Weet-Bix”. Most likely they will hop over upon hearing the rustling of an opening bag. If you would like to experience native animals in a more controlled environment, Blackbutt Reserve is the place to do it. With native animals and plenty of sights to see, this a family orientated thing to do in Newcastle, Australia. Many short trails weave throughout the nature reserves grounds, where the Australian bush is able to be enjoyed in almost complete isolation. Feeding emus, spotting koalas in eucalyptus trees, and visiting the various enclosures housing wombats, birds, and snakes rounds out an Australian wildlife experience. Pleasingly, enclosures here are much more ethical than any zoo I’ve visited. By checking feeding and show times online there is much to be learned at this wonderful day trip from Newcastle. Complete with a playground for kids and BBQ areas, it’s a great day out for the whole family. The views along this 160-meter cliff walk are beautiful, but the Memorial Walk in Newcastle holds a much more personal connection for many of the locals. 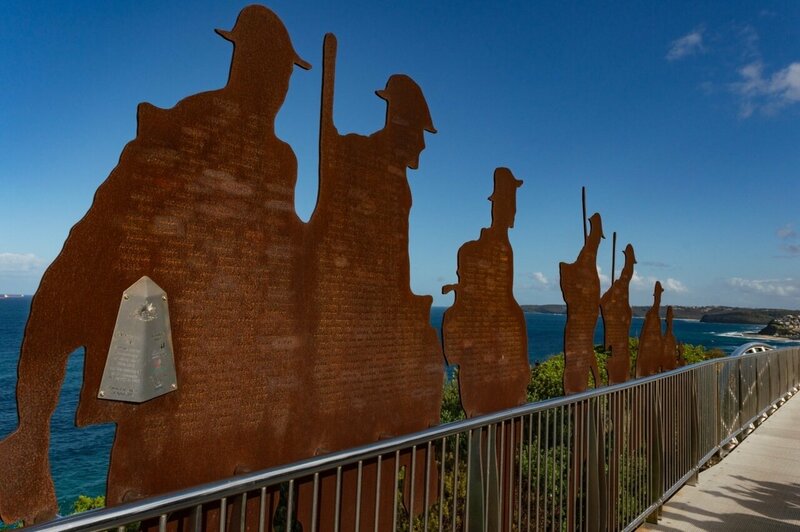 Located above Memorial Drive, this wonderful walk commemorates the 100th anniversary of the Gallipoli landing of WWI. Almost 11,000 names of men and women who enlisted in other conflicts, including World War II, are displayed along the walk. 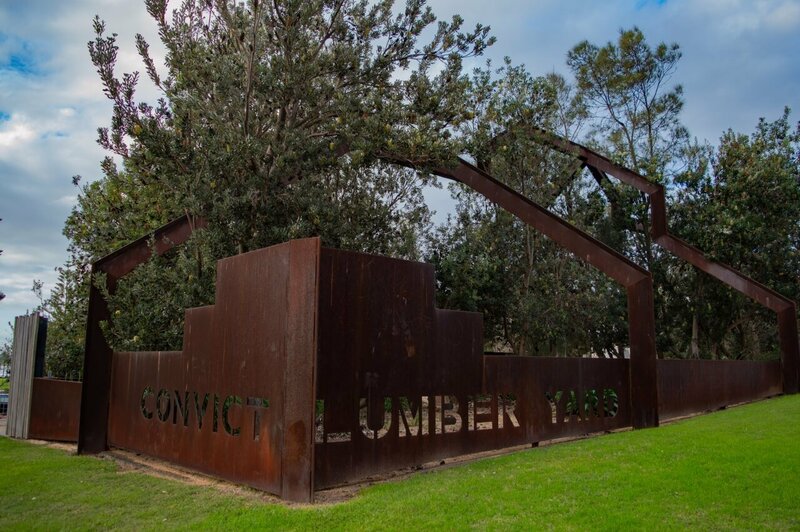 ANZAC traditions run deep through the city of Newcastle, indeed throughout Australia, and this is a perfect blend of remembrance while taking in panoramic scenery. 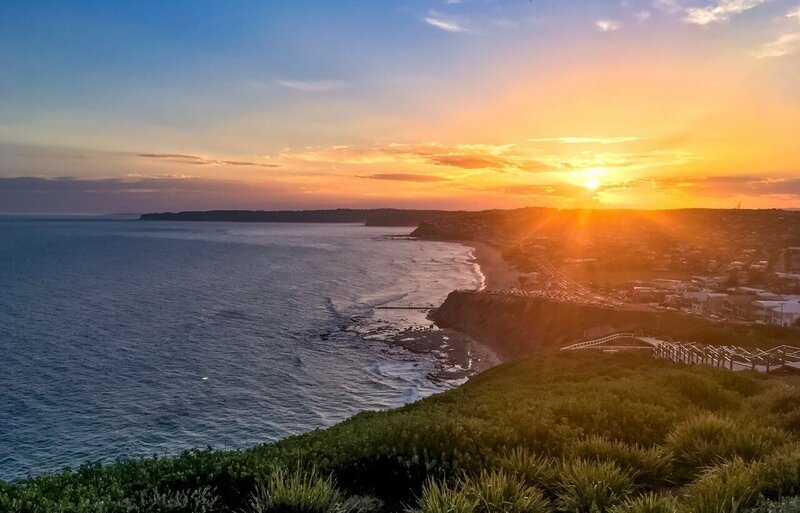 For an extra touch of beauty, experiencing a sunset across Merewether Beach is a perfect way to end the day! History in Newcastle doesn’t get richer than Fort Scratchley. Both ancient and modern history is ripe at one of the city’s most recognized sites. Ancient aboriginals used both the readily accessible coal seams at the base of the hill, and the height to get a great lay of the land. This fort also has much more recent history; On the night of June 7th, 1942, one Japanese submarine was fired upon. Making this Australia’s only coastal fortification to fire on a naval enemy. While the artillery guns were decommissioned in 1962, and the base in 1972, Fort Sctachley was opened to the public in 2008. Take a tour or just walk around a proud piece of Newcastle’s history, and not to mention the panoramic views are beautiful in every direction over the South Pacific Ocean. The Newcastle area was one of the first locations in Australia to begin producing wine, and age has only allowed the production of better and better wine. Today over 120 wineries produce wine in one of Australia’s most famous areas for the alcoholic beverage. Most of the wineries have their doors open for tastings and it’s not an uncommon place for birthday parties and many other functions. Making approximately 3% of the nation’s wine, there is surely something for every wine lover in Newcastle. The region of the Hunter Valley is under two hours by car, making for a perfect daytrip from Newcastle. Wine is a major attraction here, though looking out over the rolling hills covered in vineyards is a beautiful sight in itself. If you’re wanting a place to visit in Newcastle that’s full of nature, look no further than the Glenrock State Conservation Area. Only 5km south of downtown Newcastle, it is a popular destination for hiking and mountain biking. An array trails offer a great day out, from lush bush and green valleys to golden beaches and rocky cliffs, there is something on offer for every nature lover. Centrally located in the park lies the calm waters of Glenrock Lagoon which is also an extremely popular attraction. Always be on guard for wildlife, venomous snakes can be found throughout Australia and the bush is no exception. Keep an eye out for the native echidna – they can be tricky to spot but are always a highlight! This is another awesome daytrip from Newcastle that is best for the adventure seeker. Lake Macquarie is a half hour drive from Newcastle, and being the largest saltwater lake in the southern hemisphere there is a great amount of exploring to be done. Here you can rent out kayaks and stand-up paddle boards to explore the lake. This company will arrange to drop off all the necessary equipment whenever and wherever you want. They will also pick it all up when you’re done (note: Travel Lemming is not affiliated with that company). It couldn’t be easier to have a great day out on beautiful Lake Macquarie, one of the absolute best things to do in Newcastle! In the early 1800s, this site was used as a place to store locally-sourced materials, including coal, limestone, and timber. After a three year excavation that began in 1989, many items from the convict settlement period were uncovered, as well as ancient aboriginal artifacts found at deeper levels underground. There are plenty of plaques detailing the site in more detail making it a great way to learn more about the origins of the city of Newcastle. Located downtown, it is a short walk from many other things to do in Newcastle. Located in the heart of downtown Newcastle, The Grain Store is the perfect place to try local brews and socialize. Events are always taking place at this favorite amongst tourists and locals alike. With over 20 beers on tap and a variety of spirits and wine, every drink enthusiast will find something they enjoy here. Boasting a substantial food menu packed with delicious options there isn’t much more you could ask for. The building its self has a history steeped in alcohol production. Built in 1885 by Tooheys Brewing company, it was used as grain storage facility – hence the name. Note that the Grain Store is closed on Mondays. One of Australia’s largest exports is coal and the port of Newcastle is the largest exporter of coal in the entire world. From Horseshoe Beach large coal carrier tanker ships can be seen entering and exiting the port. It is easy to underestimate the size of these giants. One of the most famous coal ships is the Pasha Bulker. This infamous ship made international headlines in 2007 after it ran aground during a savage storm that devastated much of New South Wales’ East Coast. Tugboats are used to guide the massive ships in and out of Newcastle Port. It doesn’t take long for this busy port to put on a show. Strolling this park is another great thing to do in Newcastle for families. With wide open spaces for games and picnic tables, it is perfect for a relaxed day out. This Foreshore Park is also host to a number of events, including concerts and markets. One of the best things about Foreshore Park is it is within a short walking distance of many other fantastic things to do in Newcastle. Along with a pond that usually holds ducks floating around the park has swing sets and playgrounds for kids to keep them active and well entertained for hours. A beautiful spot, perfect for a family day out. The lockup is an incredibly unique thing to do in Newcastle. In operation from 1861 to 1982, The Lock-Up was built to support the Newcastle Police Station. While the confinement cells were mostly for short stays of three to four days. It is recorded that some detainees were subject to much longer stays. In 2007, the once-grim housing was modernized into a cultural center, showcasing artworks and creative thinking projects. Other rooms including the padded cells strewn with graffiti and convict bathing and toilet facilities offer an insight into what prisoners of a different time were subject to. Hiring this venue is also available, offering one of a kind experiences for functions. Newcastle is an amazing city with plenty to offer almost every type of traveler. 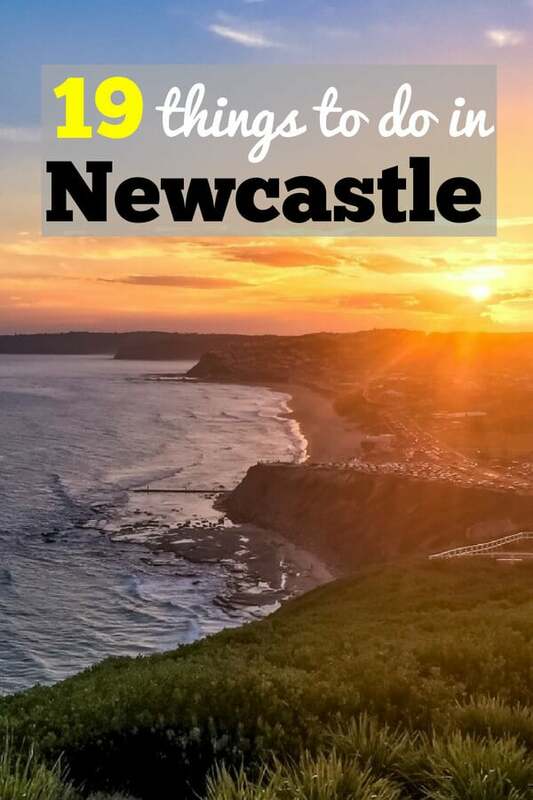 Whether you’re just passing through or looking to spend more time in this sun-soaked, famigly orientated city, visiting the things to do in Newcastle on this list will make you come to love the destination as much as the locals like us do! And, if you’re headed to Australia, be sure to check out this awesome Tasmania Road Trip Itinerary. If you’ve never thought about road trippin’ Tasmania, it will definitely make you want to! Pin “Things to do in Newcastle” on Pinterest! 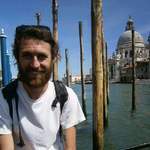 About the author: Ben writes for Horizon Unknown, a budget travel blog that focuses on how travel shouldn’t be hindered by excessive costs and culture shocks.